Loick started windsurfing when he was 5 years old. He spent every summer holidays windsurfing together with his family in Greece. That’s how he got more and more passionate by this sport. While starting to freestyle in 2007, one year later he participated at the JP-Australia Young Guns Camp in Prasonisi and already won his first competition. The first price was a brand New JP-Australia Freestyle board and from there on he started to cooperate with his actual sponsors JP-Australia and Neilpryde. With 17 years he took part for the first time at a European Freestyle Pro Event and got ranked 17th. In 2010 he travelled for one year around the world, improved his windsurfing skills a lot and competed for the first time on a world cup. 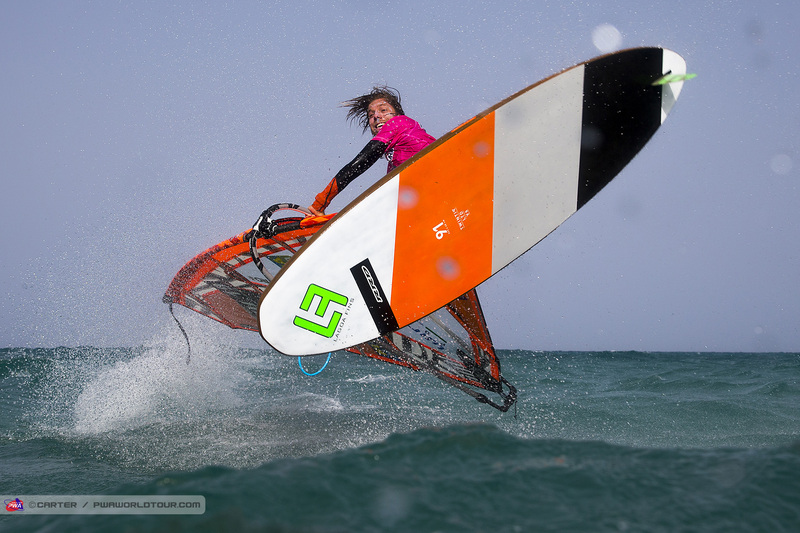 At the 2011 PWA in Fuerteventura he managed to finish on a good 25th place. This high improvement of his level and the world cup result made him possible to get a sports elite status at a High School which allowed him to combine High School and windsurfing. That’s how in 2012 he could make many trips beside school and continued to improve his level. 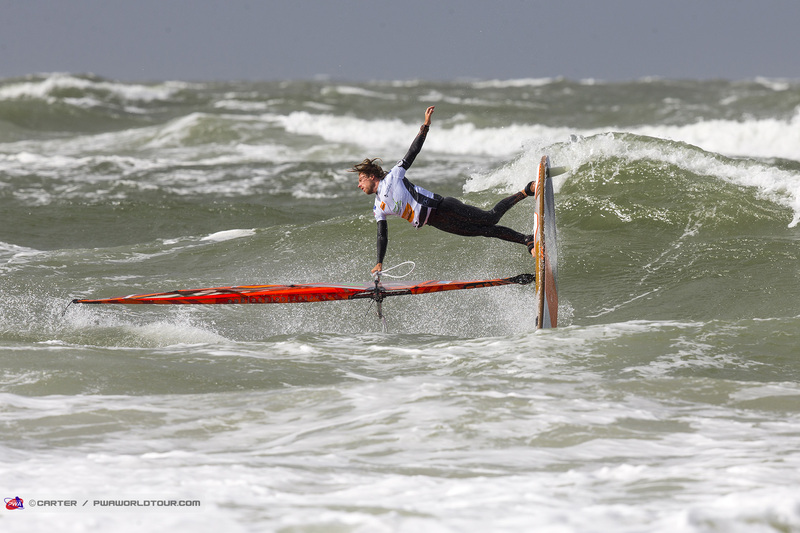 In 2012 Loick ended on his best ranking so far on a PWA Worldcup, with a 17th ranking in Podersdorf Austria. After getting his High School diploma in July 2013, he is now concentrating fully on the sport, travels and trains around the world to compete on the PWA Worldcup tour. 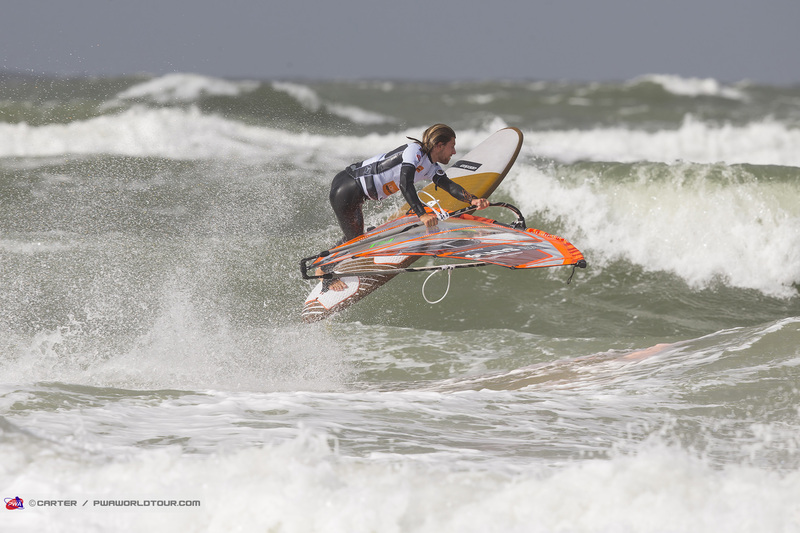 In the beginning of 2014 he launched a new project together with Brazilian talent Hugo de Sousa to travel and train at the windiest spots and to compete on the whole PWA tour. Supported by the Pousada Windjeri and RRD Company, they have got an amazing support to chase after their goals. Since I finished my school in July 2013, I’m focusing 100% on freestyle windsurfing. I always wanted to be professional and work hard towards my goals. That’s how I’m proceeding since years now and try everything to overpass my limits. My ambitions in this sport are first of all, to continue to improve as much as possible and to show my skills in competitions. I finally found the right and nice support I was working and searching for many years now, so that I can put all my efforts only on the sport. This new support make me possible to cover the cost of all the PWA events. I’m training now since last August in the windiest places. I was first two month in Fuerteventura, then 4 month in Brazil, then 2 month in El Yaque and I’m right now in Bonaire. I was trying to get the best preparation possible for this upcoming PWA season. I’m now feeling really good on the water, pull out lots of new moves and feel ready to compete. I always was a competitor and love the competition. I usually ride even better in competitions than in free sailing. I set me the goal to get a top 20 overall ranking this season. During this season I want to collect as much experience as possible, improve a lot and get the best possible ranking. After this season I’ll continue fully on so that I can achieve an even better results in 2015! I’m definitely motivated to pursuit as a professional windsurfer as long as it’s possible. Competing at those events are really important for me, so that I can keep my projects running together with my sponsors the Pousada Windjeri and RRD. Furthermore I really do believe in the freestyle discipline and want to push it a max this upcoming years by doing new projects and working towards new goals to show to the world what an amazing sport windsurfing is!